Chicago-based filmmaker Ben Russell has gone international with Trypps – a series of short, mesmerizing films loosely interpreting the notion of “trip,” from literal, geographic journeys to ecstatic music-induced highs, variations of trance and spasmodic filmic episodes. 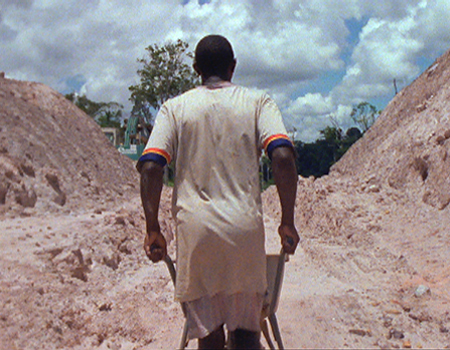 Along with Tjüba Tën/The Wet Season (co-directed by Brigid McCaffrey), his medium-length experimental documentary shot in Suriname, and his live projector performances, Russell’s body of work displays an ever-increasing interest in cinematic anthropologies. Let Each One Go Where He May is Russell’s stunning feature debut, a film that both partakes in and dismantles traditional ethnography, opts for mystery and natural beauty over annotation and artifice, and employs unconventional storytelling as a means toward historical remembrance. A rigorous, exquisite work with a structure at once defined and winding, the film traces the extensive journey of two unidentified brothers who venture from the outskirts of Paramaribo, Suriname, on land and through rapids, past a Maroon village on the Upper Suriname River, in a rehearsal of the voyage undertaken by their ancestors, who escaped from slavery at the hands of the Dutch 300 years earlier. The path is still travelled to this day and its changing topography bespeaks a diverse history of forced migration. Shot almost entirely with a 16mm Steadicam rig in thirteen extended shots of nearly ten minutes each, Let Each One Go Where He May is strangely taut as it absorbs the rhythms and sounds of life, landscape and legacy. The camera acts as a third character, observing but also engaging in a deft dance with the two young men, following one then the other, circling, pursuing, leading, pausing, with sometimes disarming intimacy. Uncomfortably assuming its role as documenter, this disembodied, alternating point of view trails the film’s protagonists along dirt paths, onto a crammed, bobbing bus, through illegal gold mines and urban traffic, into the jungle and onto a motorboat, at last stumbling upon a rousing, ritualistic scene where the real ultimately challenges the film’s fiction. 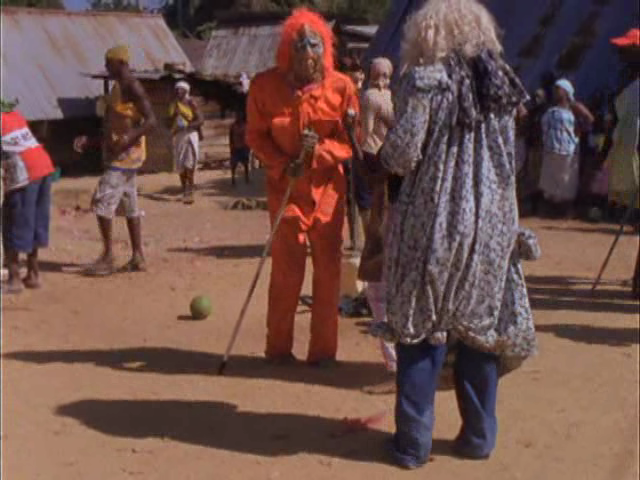 In its cartographic portrayal of contemporary Saramaccan culture, Let Each One Go Where He May invites anachronism and myth-making to participate in the film’s daring conflation of history, its oscillations between re-enactment and record, its investigation of the gaze and cultural oppression and survival. Like a Rouchian ethno-fiction, the film leads the viewer not only on an extraordinary quest, but also into an inquiry on representation and the camera’s transformative powers.